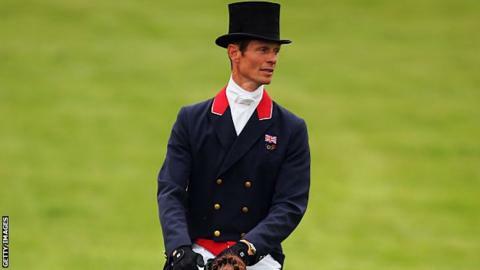 British eventer William Fox-Pitt is set to return to competition in April, six months after suffering a head trauma in a serious accident. Fox-Pitt, 47, has entered the Burnham Market International Horse Trials. "It is all systems go here and everything is on target," he said. "I hope to be competing soon." The three-time Olympic medallist was placed in an induced coma after falling at the World Young Horse Championships in Lion-D'Angers on 17 October. Fox-Pitt revealed in December he had started riding again. Among the horses he hopes to make his comeback on at Burnham Market - which takes place from 1-3 April - is 2015 Badminton winner Chilli Morning. Fox-Pitt is Britain's most successful rider, with 20 major championship medals.